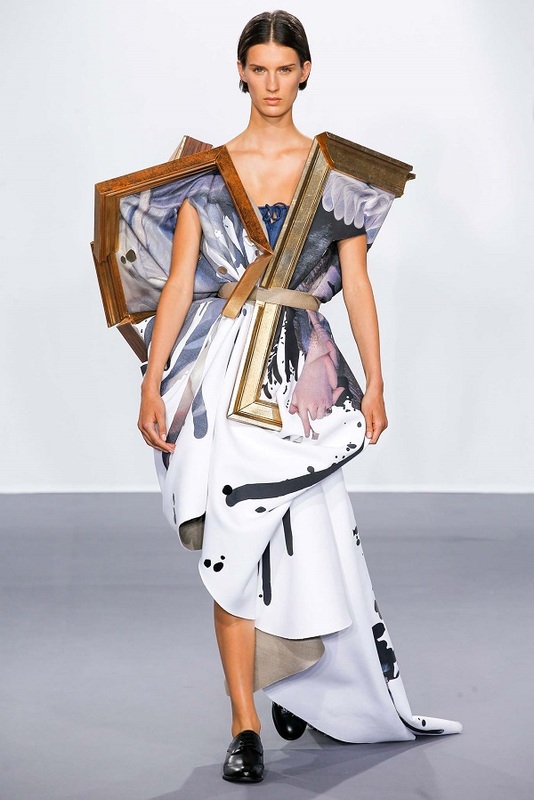 If there still remains any question as to whether fashion qualifies as art, just look to Viktor & Rolf's Fall 2015 Couture presentation. 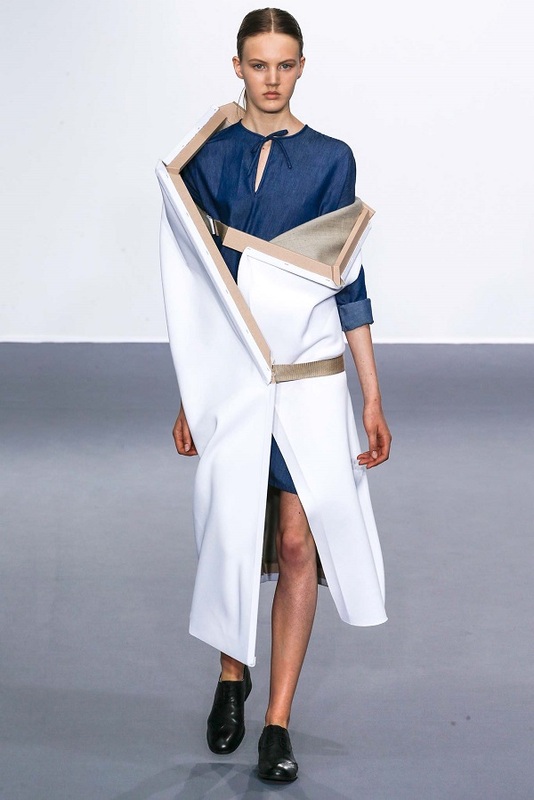 which unfolded at Paris' Palais de Tokyo last Wednesday. 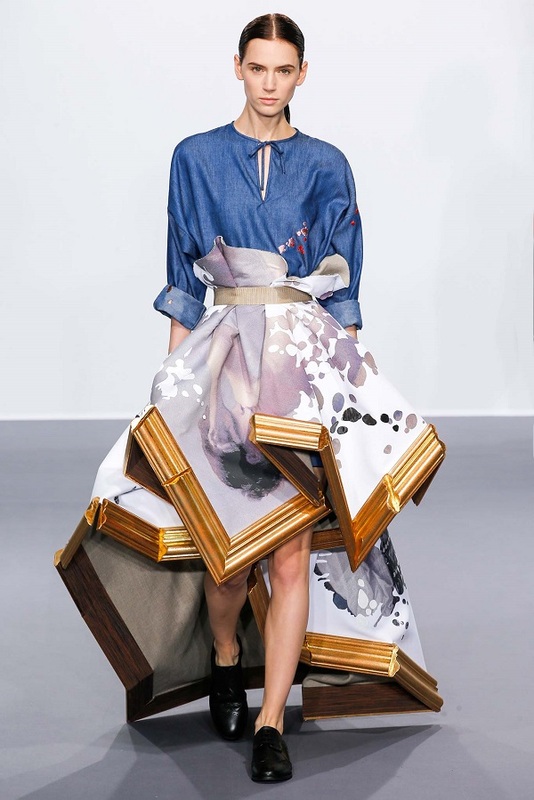 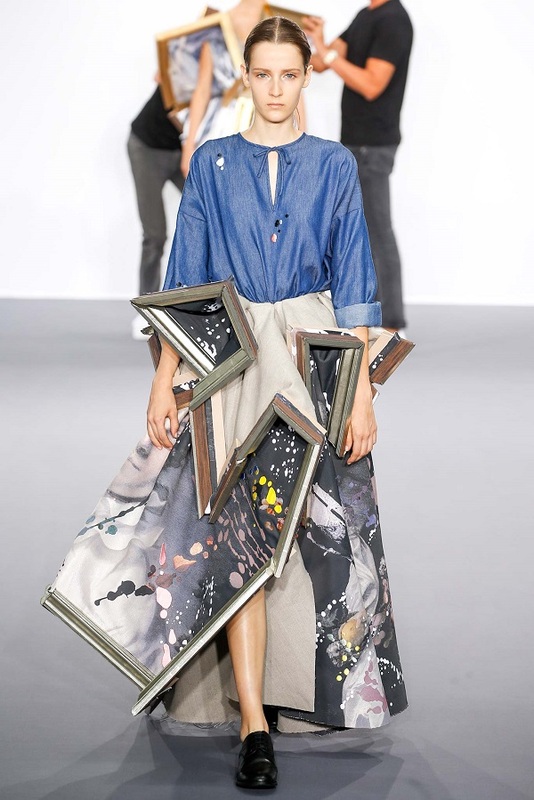 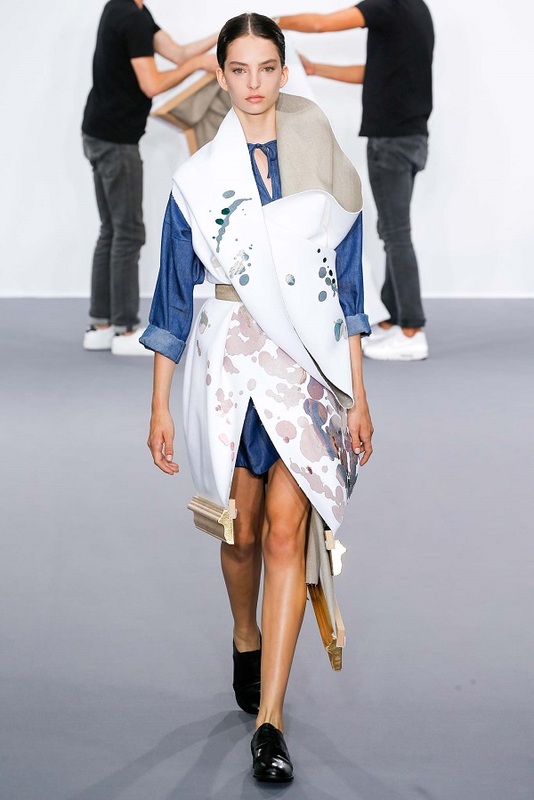 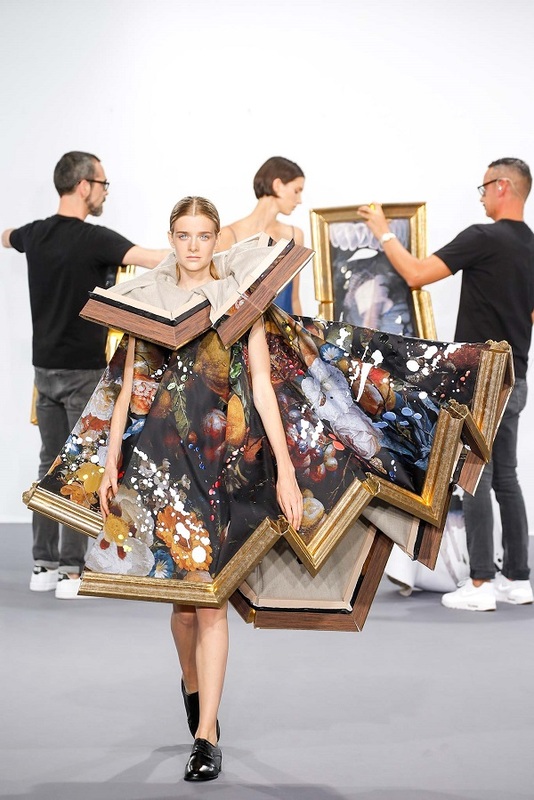 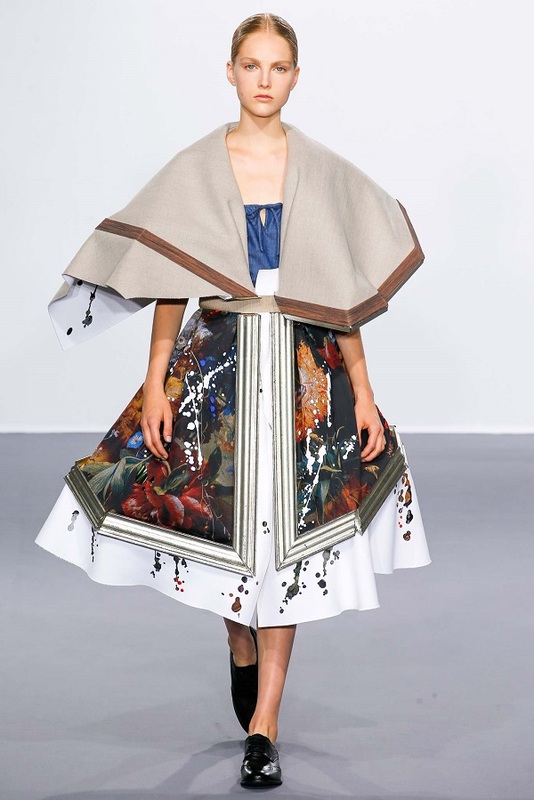 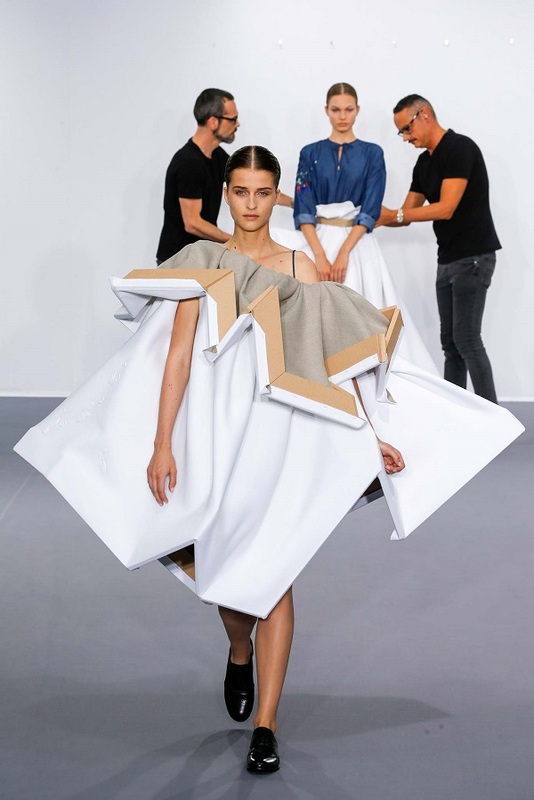 After ending production of their ready-to-wear line to focus on haute couture, designers Viktor Horsting and Rolf Snoeren quite literally framed their textile masterpieces last week as one would frame a painting. 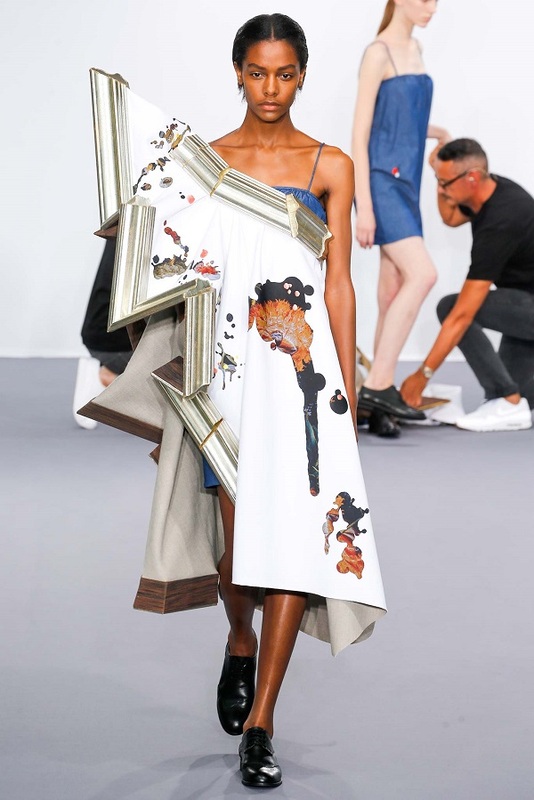 Beginning with relatively subtle white canvases ("relatively" being the operative word), the trajectory of the show moved toward the ultra-literal, through paint-spattered fabrics to portraits in gilded frames. 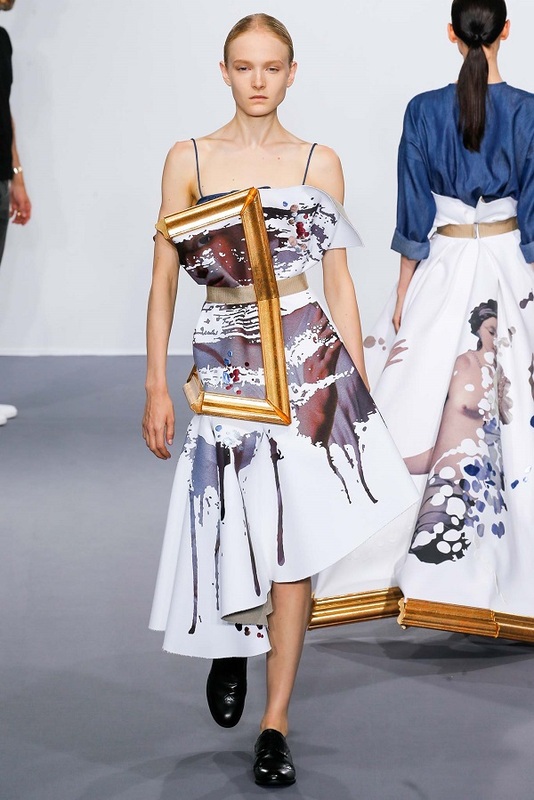 But, no matter how literal in its interpretation of the fashion-as-art question, the presentation was brilliant and the craftsmanship breathtaking. 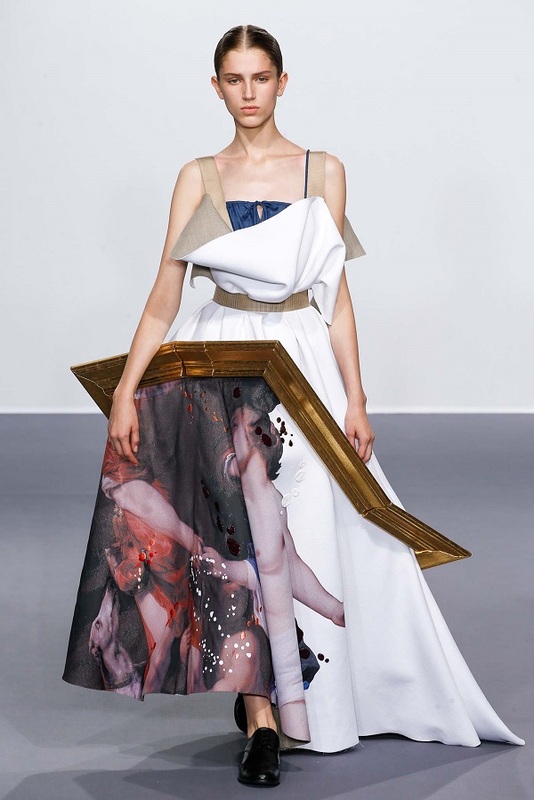 The entire Fall 2015 Couture collection, by the way, was purchased by art collector Han Nefkens to be donated to the Museum Boijmans Van Beuningen in the Netherlands. 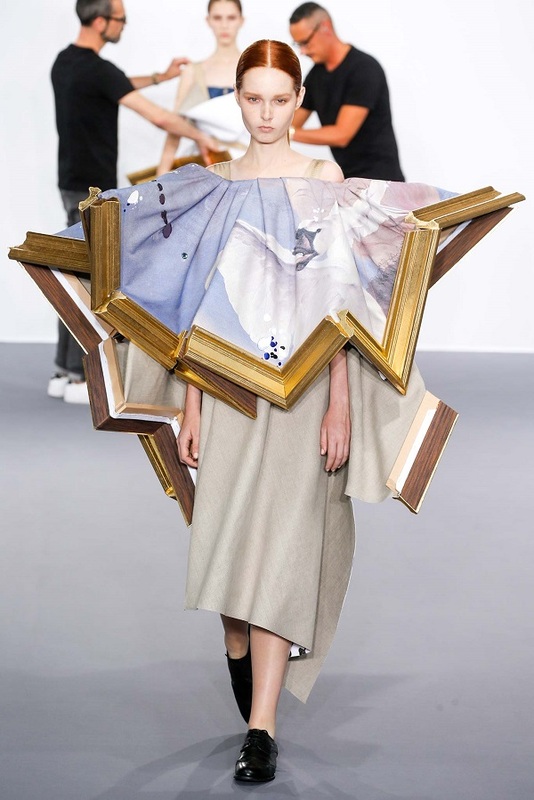 Now, have we finally put this matter to rest?